Now that millions of consumers are surfing the Web to research their own medical symptoms, many are taking the next step: comparison-shopping online for hospitals and doctors. When Kirk Emerich, a bank executive in West Bend, Wis., needed knee surgery for a volleyball injury earlier this year, for example, he researched the local doctors and hospitals, using a Web site provided by his employer's insurer, Humana. The comparative data included the number of patients that the hospitals treated annually and the complication rates after surgery. "Both our hospitals were pretty good," said Mr. Emerich, a senior vice president for West Bend Savings Bank. "But the doctor I ended up with had an edge: she was more focused on sports injuries." As their out-of-pocket health care expenses continue to grow - through rising medical costs, higher insurance premiums and heftier co-payments - many people are using consumer skills well honed by online research on everything from digital cameras to S.U.V.'s. And their employers and insurers, intent on getting the best value from their own health spending, are arming those consumers with increasingly detailed searchable databases. The data come from medical records that insurers are pressing doctors and hospitals to provide, and in some cases from patient surveys. "We believe American consumers should know as much about the medical care they receive as they do about the vehicles they purchase," said Sharon Baldwin, a spokeswoman for General Motors, the nation's largest private purchaser of health care. Next month, G.M. plans to brief its salaried employees about their health benefit options for 2006, and will provide online information to help them make choices. So far, the various consumer databases, many available only to individuals enrolled in insurance plans, have some gaps. "We've got terrific measurements information in some areas, but in other areas we don't have good measurements at all," said Dr. Carolyn Clancy, director of the federal Agency for Healthcare Research and Quality, which is working to standardize the way health care data are reported. At this point, there is much more quality-of-care information available about hospitals than about individual doctors, except in nine states including Florida, Pennsylvania and Wisconsin that make statistics available on the numbers of procedures that surgeons perform. And pricing information still tends to be scarce. But the databases can grow only more robust, now that the full weight of the health insurance industry is behind the trend and the federal government is beginning to wield its influence. Anyone, insured or not, can now log on to the federal Department of Health and Human Services' Web site called Hospital Compare (hospitalcompare.hhs.gov), which uses Medicare and Medicaid data to assess the track records of more than 4,000 hospitals around the country. Want to know which hospitals in your city to go to for treating heart attacks or pneumonia? Log on to Hospital Compare, plug in the step-by-step particulars, and judge for yourself, based on criteria that include whether the hospitals provide appropriate medicines when patients are admitted and discharged. The government also plans to begin reporting on complications after surgery and whether doctors and nurses make clear to patients how to take care of themselves after a hospital stay, said Dr. Mark B. McClellan, administrator of the federal Centers for Medicare and Medicaid. Private health plans typically provide more comparative data than the federal Web site. Yesterday, Wellpoint, the nation's largest commercial health insurer, announced that its 28 million members would be able to log on to an expanded list of health care information services. The service is to include software to help members compare their own potential costs under various health plans. Wellpoint began providing consumer information for comparing hospitals several years ago. Vivian Johnson is a Wellpoint enrollee who works for the Banta Corporation, a national printing company. When she transferred to Lancaster, Pa., from Utah earlier this year, Ms. Johnson used a Wellpoint system to research doctors for herself and pediatricians for her 2-year-old daughter, Averie. "I relied heavily on certain statistics," Ms. Johnson said, like "how many patients the doctors treated, where they were located and in some cases feedback from consumers." Besides Wellpoint and Humana, most of the big insurance companies - including United Healthcare, Aetna and Cigna, as well as many state and regional Blue Cross and Blue Shield insurers - provide this type of information. One of the most recent to join the wave was Michigan Blue Cross and Blue Shield, which on Sept. 1 started offering online hospital and doctor comparisons to its 4.7 million members. "The insurance carriers are all headed in this direction," said Dale Whitney, corporate health and welfare manager for United Parcel Service, which offers plans from all the big national health insurers to its 328,000 employees across the country. "A lot of employers are trying to get people to say, 'Yes, I have some responsibility to take care of my health.' "
The raw material for the information on the Web systems is typically assembled from data that include medical payment claims, hospitals' reports to Medicare and health care information from employers who belong to an alliance known as the Leapfrog Group. Companies that collect and organize the information include Subimo, a privately held company that supplies data for Wellpoint and Michigan Blue Cross, among other insurers; HealthShare Technology, which was recently acquired by WebMD; and Health Grades, based in Golden, Colo. In May, Wellpoint bought Lumenos, a data compiler. And last year, UnitedHealth Group bought Definity Health, a company that, like Lumenos, operates high-deductible health savings plans and provides comparative data for consumers. The ability to compare costs is especially important for a growing number of employers seeking to interest their workers in high-deductible health savings plans that offer lower premiums at the onset but require plan members to assume more of the financial burden when they need care. The Detroit auto companies, which spend billions of dollars annually on employee health benefits, are among the large employers considering making such plans an option. DaimlerChrysler said last week that it would offer a high-deductible plan along with online information about the quality and costs of certain doctors. Specialists say that, so far, the sources of information are far from perfect. Data based on medical claims payments can be particularly sketchy and unreliable, said R. Heather Palmer, a professor of health policy and management at the Harvard School of Public Health. "The hope," she said, "is that as we move toward electronic medical records, we will get data with more clinical detail." The data collecting companies make no claim of perfection. "In the absence of perfect information, we help equip people so they know what questions to ask to be smarter consumers of health care," said Ann Mond Johnson, chief executive of Subimo, a five-year-old company based in Chicago. Most specialists agree that improvements depend on achieving a standardized, computerized approach to collecting and assembling medical data at all levels, from big hospitals to small doctors' offices - a long-range goal of the Bush administration. Until information technology is more widely available, "it is extremely difficult to collect this information, and it is expensive," said Charles N. Kahn III, president of the Federation of American Hospitals, a trade group of for-profit hospitals. But others say that, technology questions aside, medical care providers need to be more forthcoming with information. "For the last 15 years, the hospital industry has resisted public reporting," said Dr. Mark D. Smith, president of the California Health Care Foundation, a nonprofit research organization. Doctors and hospitals are still reluctant, he said, "but they are increasingly comfortable with the inevitability and desirability of public reporting on performance." He added, "It's a huge improvement." The foundation has a Web site (calhospitals.org), which uses patient survey data to enable anyone to compare California hospitals within a county or metropolitan region on a wide range of performance criteria. Margaret O'Kane, president of the National Committee for Quality Assurance, which certifies health plans, said the hospitals had a lot to answer for. "There are huge issues out there in the number of people being harmed by hospitals," she said, referring to statistics indicating that tens of thousands of hospital patients die each year from avoidable medical errors. Publishing more quality data can help change that. "No hospital wants to have data out there that makes them look like poor performers," she said. Mr. Kahn, of the hospitals federation, acknowledged that "consumer education is part of the future." But, he added, "we are only at the beginning of knowing what information to collect to get a meaningful reflection of the quality of specific institutions." Even so, Mr. Emerich, who found his knee surgeon online, says the information already available is helpful. His operation turned out well. "I'm fully active, with no restrictions," he said. But, he conceded, at age 42 it might be time to think about giving up volleyball. While many New York hospitals face increasing financial distress, NewYork-Presbyterian Hospital is planning two major construction projects that together will cost more than $400 million. The first is to be an eight-story, $242 million cardiovascular center at the Columbia-Presbyterian Center in Washington Heights. The Millstein Heart Hospital will be built on vacant land to the south of the present Millstein Hospital building. The new building will connect to the second floor of the original, which houses the present invasive cardiology suite. The heart hospital will include 20 new intensive care unit beds, eight new operating rooms, a 200-seat auditorium, and other facilities. The existing Millstein Hospital building houses 955 beds. At the New York Weill Cornell Center, New York-Presbyterian plans to construct a six-story building to house four new operating rooms, a relocated blood bank, and two new interventional neuroradiology labs, as part of New York-Presbyterian's decision to make the hospital one of the primary referral centers for stroke patients in New York City. The hospital also plans to add a 12th floor to the Greenberg Pavilion at the Weill Cornell Center to house 48 surgical rooms. In total, that project is expected to cost $169 million. New York-Presbyterian estimates that construction will begin in June and that the facilities should be open by September 2008. The State Hospital Review and Planning Council, a division of the state Department of Health, will decide whether to approve the two projects during a December 8 hearing. A division of the state agency, the Office of Health Systems Management, has recommended that the projects be approved. A spokeswoman for New York-Presbyterian, Myrna Manners, said the hospital is confident the projects will be approved. She added that they had already received preliminary approval from the council's project review committee. A spokesman for the Department of Health, Joseph DiMura, would not confirm her statement. The two development projects reflect a national trend: hospitals focusing their efforts on specialized, high profile, and highly profitable departments like cardiology and neurology. The chairman of the Commission on Health Care Facilities in the 21st Century, Stephen Berger, told The New York Sun earlier this month that the current system encourages hospitals to move into more lucrative specialty areas, like cardiology. US News & World Report ranks New York-Presbyterian's neurology department as the second best in the nation and its cardiology department no.8,the only such department to make the top 10 in the New York area. The department is headed by Dr. Mahmet Oz, who performed President Clinton's bypass surgery last year. Cardiology can be especially lucrative, industry watchers say, because many of those who receive treatment are of the age and economic position to give large donations. Some have criticized this trend for drawing resources away from smaller community hospitals that treat poor patients who do not have private health insurance. Without the financial support of profitable specialty hospitals, critics say, these institutions are financially unsustainable. 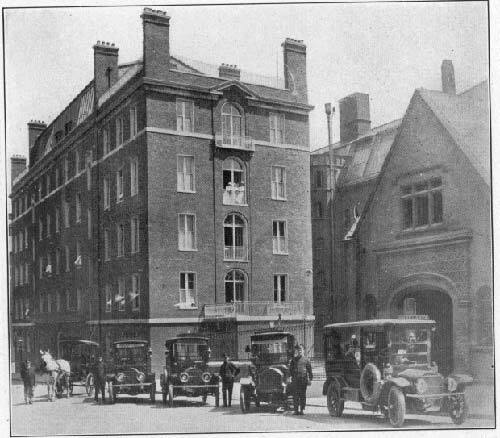 However, because the new facilities will be divisions of the original hospital, all earnings will contribute to NewYork-Presbyterian's total profits. "New York-Presbyterian is one hospital with one bottom line," Ms. Manners said. The hospital had revenues of $2.43 billion in 2004 and $2.41 billion in expenses. Other New York hospitals are not faring so well. Last June, the city's largest Catholic hospital network, St. Vincent Catholic Medical Centers, filed for bankruptcy after years of financial losses. It has closed or announced plans to close at least three of its hospitals, including St. Mary's in Brooklyn. The parent company of Beth Israel Medical Center, the Continuum Health Partners, sold the 14-story Singer Division (formerly Doctors Hospital) on the Upper East Side for $185 million. Several weeks ago, Fitch Ratings and Moody's Investors Service downgraded Lenox Hill Hospital's credit rating to junk status. Last year, New York-Presbyterian lured a star cardiology team lead by Dr. Jeffrey Moses to leave Lenox Hill for Columbia Presbyterian. The Commission on Health Care Facilities in the 21st Century, which Governor Pataki convened last spring, will present recommendations in December 2006 on which New York Hospitals should be modified or closed. It has said the system must be shrunk by 10%. $423 million is the total estimated cost of the two construction projects planned by New York-Presbyterian Hospital. A headline on page 3 of yesterday's Sun was incorrect. In a quiet ceremony, a group of Greek and Italian officials unveiled a plaque in honor of Maria Callas, the soprano, who was born 85 years ago today at Flower Hospital, now the Terence Cardinal Cooke Health Care Center, in Manhattan. 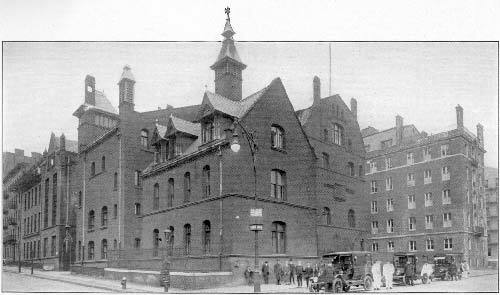 The hospital, at 1249 Fifth Avenue, between the Upper East Side and East Harlem, was established in 1890 and converted to a continuing-care center in 1978. Until a few weeks ago, said Laura T. Gaffney, the hospital’s executive director, officials there were unaware that one of the most famous people in opera and music history was born there. And until today, there was no other marker at the hospital noting Callas’s birth. 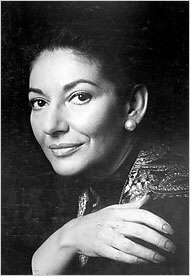 Giuliana Ridolfi Cardillo, the press officer at the Italian Cultural Institute in New York, said the idea for the plaque emerged from conversations with Bruno Tosi, president of the Maria Callas Cultural Association in Italy, which honors Callas’s memory. Officials from the Greek and Italian consulates in New York got involved and extended their support, as did the Maria Callas Grand Prix, a music competition run by the Athenaeum International Cultural Center in Athens. The plaque, engraved in Italy, in Carrara marble — the same marble used by Michelangelo — states simply: “Callas, was born in this hospital on December 2, 1923. These halls heard for the first time the musical notes of her voice, a voice which has conquered the world. To this great interpreter of universal language of music, with gratitude.” The plaque lists all five institutions, including the two consulates. Callas was and continues to be claimed by Americans, Italians and Greeks as one of their own. She was born to Greek parents who had immigrated just months earlier and were living in Astoria, Queens. But she returned to Greece with her mother, as a teenager, and did her musical training there. She spent much of her performance career in Italy, the origin of so much of opera’s repertory. Ms. Gaffney, the hospital administrator, said it was fitting to honor Callas because she was active in many philanthropic and charitable efforts. “To be the birthplace of such a legendary person is such an honor for us,” Ms. Gaffney said. Mr. Tosi, who traveled from Italy for the plaque dedication, gave a phone interview through Ms. Cardillo, who translated. He said that Callas held a United States passport all her life and came to New York City in 1962 to sing at Madison Square Garden for an event celebrating the birthday of President John F. Kennedy. In a phone interview, Aghi Balta, Greece’s consul general in New York, emphasized Callas’s roots. This hospital is an integral part of the New York Homœopathic Medical College. The Surgical Building was built in 1890 and soon after the Medical structure followed. Then a Dispensary and Dormitory for employees, a Nurses' Home, an Isolation Building, a modern Ambulance Stable, and finally, in 1914, a six-story fireproof private Pavilion capable of accommodating 100 patients, were successively added. A registered Training School with 43 pupil nurses is maintained. The ambulance service of four motor and one horse ambulance has been for years and still is the largest and best equipped of any homœopathic hospital. In the past year 5,671 calls were answered by the ambulances. New York City has the best ambulance system in the world and the Flower territory is one of its important sections. Private Patients' Pavilion, Ambulances and Garage. FLOWER HOSPITAL, NEW YORK CITY-GENERAL VIEW. That's still back when people primarily went to hospitals to die.